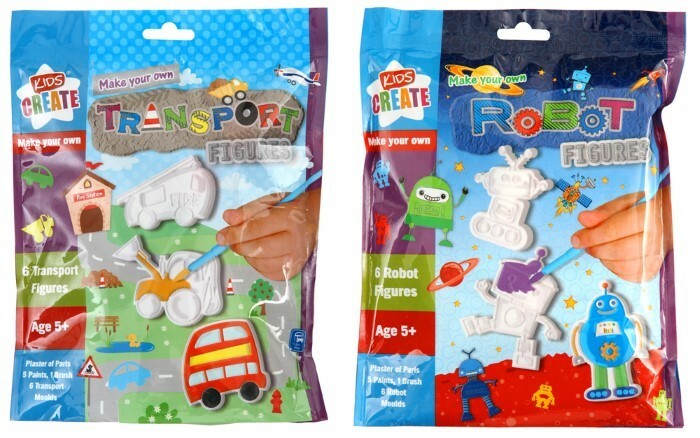 Make Your Own Plaster Of Paris Figures - Robot. Get creative. Choose from one of two designs. 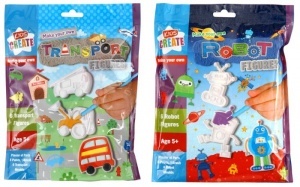 Either make your own 'Transport' or make your own 'Robot' figures. Contains Plaster of Paris, Paints, Brush and 6 Moulds. Semi 3D front with flat backs. This would make a good gift or party prize!